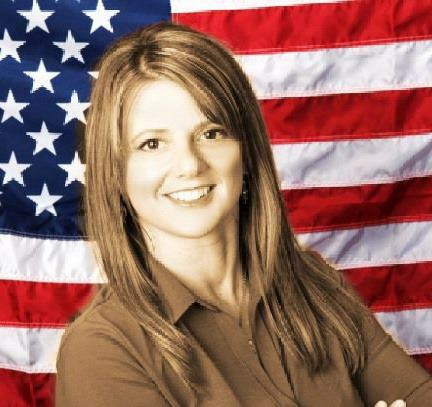 Kelly Townsend receives NRA Endorsement and “AQ” rating for Arizona House District 16. The NRA Arizona State liaison, Brent Wm. Gardener contacted Ms. Townsend Friday to thank her for her strong support of the Second Amendment and the right to keep and bear arms. Townsend’s pro-gun/pro-hunting candidacy earned her an “AQ” rating, the highest possible to be awarded to non-incumbent candidates. The primary election is August 28th, with early ballots being mailed out next week. 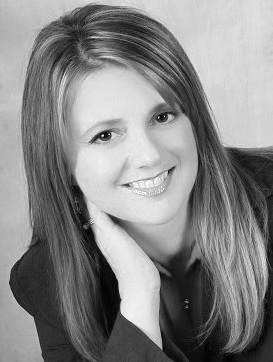 You can learn more about Kelly Townsend at www.Townsend2012.com or find her on Facebook. Mesa – Kelly Townsend announced her candidacy for Arizona State Representative in the newly proposed Legislative district 16, representing Gold Canyon, Apache Junction and east Mesa to Power Road. Townsend, 43, is the Co-Founder of the Greater Phoenix Tea Party, and is a Precinct and State Committeeman with the Republican Party. 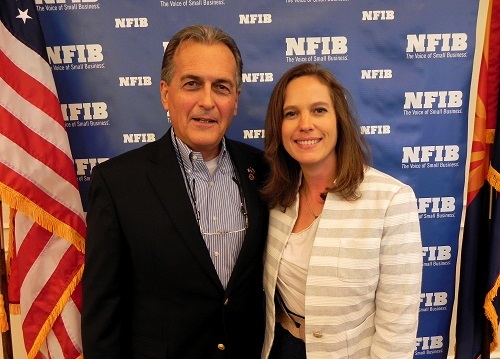 Townsend has already received the endorsement of Senate Majority Leader, Andy Biggs, who represents much of the East Valley. Having worked closely with legislators since 2007, she has been representing the people of Maricopa County through her efforts in the Tea Party. A Navy Veteran, she seeks to serve her country, once again, in an official capacity that will allow her to continue to make positive steps toward a prosperous State. Townsend is widowed and has three children ages 20, 15, and 12. Kelly Townsend, candidate for LD22 GOP legislator, as well as owner and founder of Greater Phoenix Tea Party Patriots has been the focus of some troubling ethical questions due in part, to her website. Kelly, along with the 912 Tea Party Project Pinal County co-owners with Sassia Niederste-Hollenberg , Stephen (a candidate for Casa Grande School Board)and Melinda Kohut, have acted in ways that contradict the Glenn Beck’s 9 Principles and 12 Values prominently featured on the Pinal County website. On these two websites, some of the most incredible blogging activity has occurred over the past six months since JD Hayworth announced his candidacy for Arizona’s US Senate seat in Congress. It has culminated over the past three weeks with some phenomenal attacks on numerous tea parties in our state, a blog post by a Senate candidate’s wife calling an avowed racist JD Hayworth’s “best friend’ and discovery that one of Jim Deakin’s strongest supporters, and wife of the co-owner of a Pinal County TPP website, pretending to be interested in endorsing a candidate. Lastly we’ve discovered the completely duplicitous and hypocritical actions by two Tea Party websites and their owners. 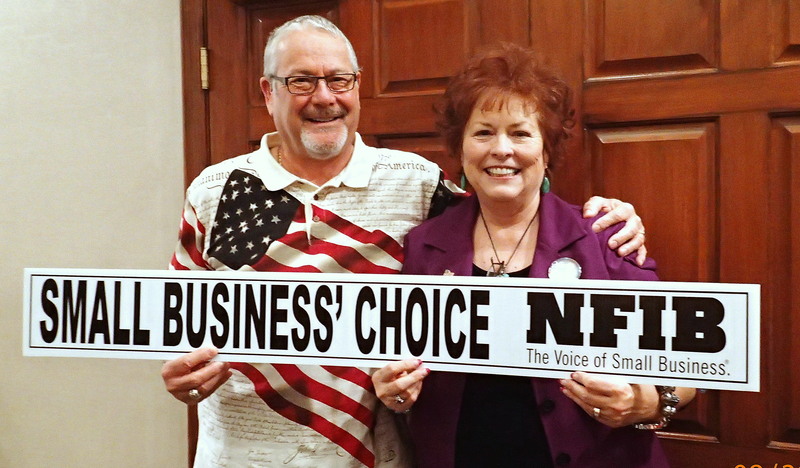 Beginning last April there was growing group Tea Party groups who started working together to form a coalition of Tea Parties for creating resources, sharing ideas and providing a stronger voice in Arizona. While there was considerable difference as to the shape and form of this coalition, there was complete unanimity in recognizing the need for such an organization. One of the key issues that developed was the recognition to determine a legal way to endorse candidates. 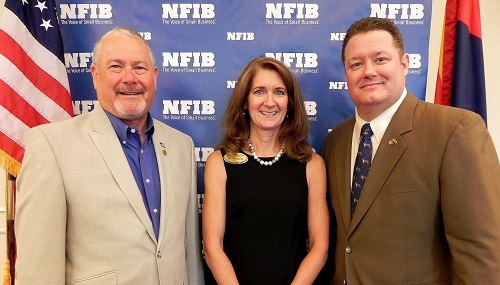 This culminated on August 2nd, with a group of 16 statewide and national groups endorsing JD Hayworth for US Senate as the Tea Party candidate. You would have thought all hell broke loose among Jim Deakin’s supporters, both on the blogs and in Deakin’s campaign. Jim and his wife Adonia began making posts, attacking all this coalition, calling them “Fake Tea Parties”. Also Deakin sycophants began making accusations of law violations and threats to file complaints with the Federal Elections Commission. One such supporter, Stephen Kohut, co-owner of the 912 Tea Party Project of Pinal County website, has been extremely vociferous, threatening to file complaints with the FEC. So outspoken has Stephen been speaking out, that you’d almost forget that, at least according to his own words, Kohut did not ‘make up my mind’ until after the July 16-17th, debates. Stephen claimed on various Tea Party websites and in his voluminous comments on Sonoran Alliance that he was “undecided” as to his choice for the US Senate. Kohut EVEN claimed that while his wife Melinda had decided to support Deakin, even contributing $500 to his campaign, he remained “undecided”. Yes, and I have oceanfront property in Quartzite, Arizona for bargain prices! With Deakin’s utter failure to garner any Tea Party endorsements, Jim has taken to condemning those Tea Parties who have endorsed JD Hayworth. This is where it gets interesting. Kelly Townsend’s Greater Phoenix Tea Party Patriots is a 501(c)4 organization, hence cannot endorse any candidates. Also, Sassia Niederste-Hollenberg and Stephen Kohut’s 912 Project Pinal County Tea Party Patriots “claims” to be a 501(c)4 group. ‘Claims’ is the operative word; for last March when I questioned them about a video of some Massachusetts independent ‘endorsing’ Jim Deakin prominently on their front page, and I then repeated my concerns with another question, they suspended me from the website! Stephen recently called my questioning, “cyber-intimidation”. Yet, since they weren’t even a 501(c)4 group, my question was irrelevant, EXCEPT they claimed then and now to be a 501(c)4 group! Why would they make such false statements? Here are the facts: when I recently checked the AZ Corporation Commission’s listing of corporations, there was nothing for Kohut’s group at the time. NOT until May 7th did a reservation for a group, “Pinal County Tea Party Patriots” appear, reserved by Melinda “Mindy” Kohut. The reservation expires on September 5th and to date there appears that no corporation exists. 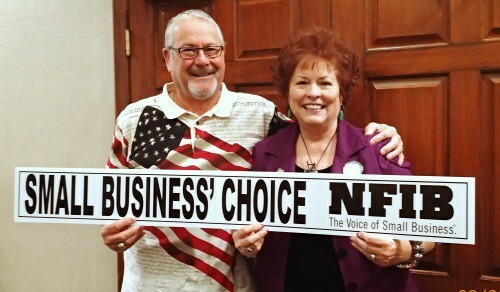 Then on June 8th, Kelly Townsend filed for a registration of trade name for “Pinal 912 Tea Party Patriots”; thereby intertwining the two Tea Party groups completely together. Yet they use their websites to take a cheap shot at the Tea Party groups that endorse candidates. Both websites and the Tea Party groups’ leaders, Townsend, Sassia and the Kohuts have been solidly supporting Jim Deakin. So imagine my surprise last week to find out that Mindy Kohut asked two months ago to join this coalition of Tea Parties. For the last two months Stephen’s wife, Mindy a contributor to Deakin’s campaign, has been a member of the website, but failed to acknowledge her support for Deakin by joining the Jim Deakin group. So, while being a member of the Association that was seeking legitimate avenues for endorsing candidates, Melinda’s Pinal County Tea Party Patriots is strongly opposed to endorsements of candidates. She pretended to support the concept of endorsing a candidate, which WAS an option for Tea Party leaders for ANY candidate, as a result of the Association. Needless to say, her membership has been terminated. Here’s the link to their page look for their statement on endorsing candidates: http://thepinalcounty912project.ning.com. It’s interesting that Kelly, the Kohuts and Sassia, along with Jim Deakin, want the exclusive right to define WHAT CONSTITUTES A TEA PARTY! THEN they dare to condemn anyone or group that doesn’t fit THEIR definition!! Now with Kelly Townsend working with and closely allied to the Pinal County group, it’s not too surprising to find that her actions also clearly violate the 912 standards. For example, over the past eight months numerous groups formerly affiliated with Kelly left her organization. In most every case she refused to let them keep their name, since SHE was the registered owner. The key reason for leaving was simply that Kelly concentrated the control and authority in the hands of herself and the members of the board, Les White, Charles McCain, and Chris Rossiter. For example, after a national group, Tax Day Tea Party, endorsed JD Hayworth, Kelly immediately contacted Robert Mayer, Roger Boone and Patrick Beck of the Tucson, Flagstaff and Bullhead City “Tea Party” groups and issued a press release claiming to be the four largest Tea Parties and that they were NOT endorsing JD Hayworth for the Senate seat. This press release garnered widespread press attention, thanks to John McCain’s powerful influence. Two interesting facts about this press release: 1. one members of Kelly’s Board at the time was NOT even informed about the press release, let alone involving her, leading up to the press release! 2. While Kelly’s and Roger’s groups could NOT endorse ANYONE due to their status, the Tucson group had made the decision NOT to endorse any candidate for any race, not just JD Hayworth for the US Senate. Lastly, Patrick Beck did not EVEN HAVE a Tea Party group! Sure, he had organized a rally for April 15th last year that attracted 400 attendees in Bullhead City. However, there were NO meetings, until he set up an ‘association’ last May, and THEN only ONE! This was a concerted effort to mute the impact of any endorsements for JD Hayworth. Lastly, Kelly Townsend shows complete hypocrisy on her website in what she allows or censors in the discussion groups. Specifically, when there were very heated discussions regarding the Senate race, in the West Valley and the Greater Scottsdale groups, causing several members to complain and leave the discussion pages. Kelly rightfully set up a Senate discussion group on June 10th, and after she complained to me about ‘strong language’ (not foul, just forceful) she told me in a phone call that in the new group, “almost anything goes”. Then on June 14th, I used the term “Deakinistas” in reference to the more rabid supporters, given to insults and personal attacks. Kelly suspended me, and another person who used the term “Deakinasses” for 30 days. BY contrast, Adonia Deakin post the MOST despicable of blogs, claiming that JD Hayworth asked his “best friend” David Duke to get his friends to call on his behalf!! She also posted this on Smart Girl Politics and it was quickly deleted! Kelly simply asked Adonia to ‘revise’ the post. SO, Kelly doesn’t mind blatantly false and despicable posts in a completely disgusting display by the wife of Jim Deakin. Yet she is “offended” by the term “Deakinista”!? You have to wonder, DO the Kohuts believe it proper to make false claims of support for the Association, or being “neutral” and criticize all Tea Parties who do not agree with them calling them “Fake”? Does Kelly Townsend believe that it’s proper to control over 3-5,000 Tea Party members in over a dozen groups, with just 3-5 board members, not giving the leaders of the various groups say in thei leadership? Further, does she possibly believe that no one can see through the flimsy claim that they don’t really moderate the blogs? One thing is for certain: the voters in LD 22 and the Casa Grande School District need to take a very close look at these candidates’ ethics. BOTH should be subject to a MUCH closer scrutiny, based on their actions over the past six months.